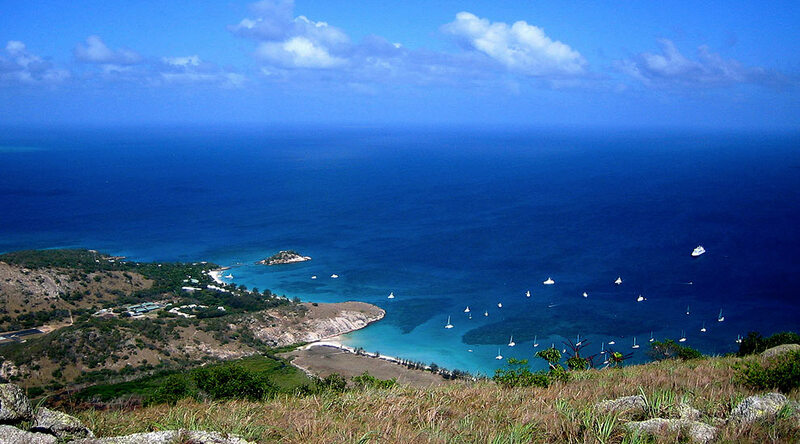 A total of 26 teams fished the Lizard Island Black Marlin Classic in 2012. 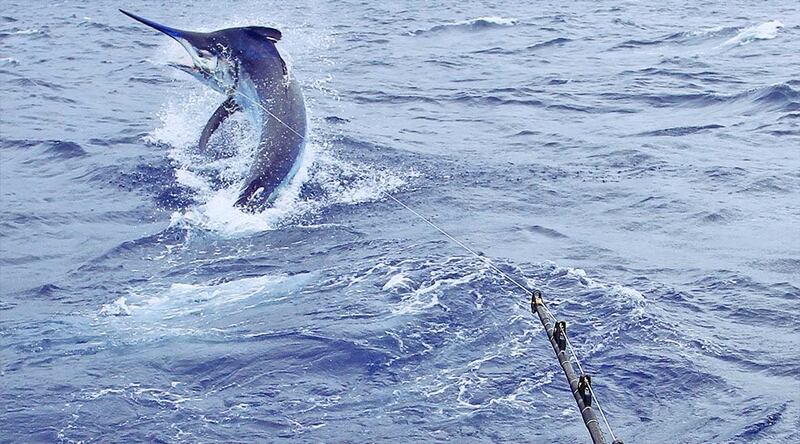 Peter Teakle sponsored five pop-up satellite tags for local crews to place in black marlin during the event as well as the weeks following the tournament. The winner would be determined based on whose fish swam the farthest. The info gathered by the satellite tags provides valuable information including the fish's location and depth and the surrounding water temperature. Once the tag pops off, the info is transmitted to the scientific team at Stanford University for their ongoing study of marlin. 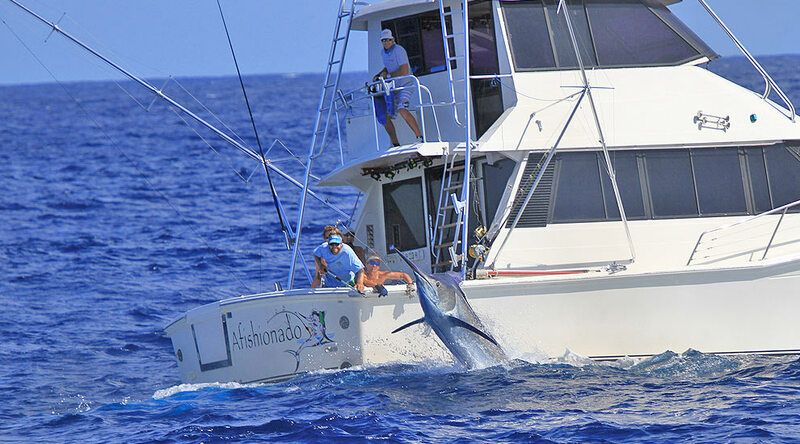 The first satellite tag was deployed into an estimated 850-pound black marlin caught by angler Tim Ballintine on board Afishionado with Capt. Simon Carosi at the helm. The Lizard Island tournament sees its fair share of big fish each year. As an all-release event, anglers can score big points for releasing fish in excess of 1,000 pounds. The 2012 event was another great showing of Great Barrier Reef black marlin fishing, with 84 black marlin tagged, including eight granders. 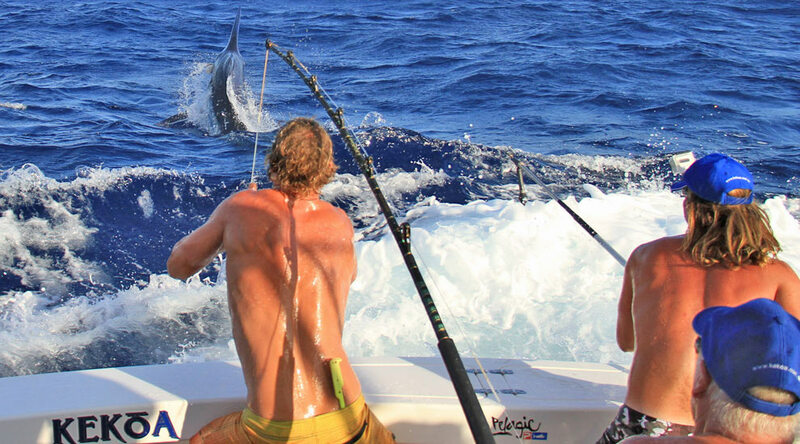 The crew on KEKOA hook into another big marlin during the 2012 Lizard Island Black Marlin Classic. The fish was caught by angler Brendan Lakoseljac. The final tag for KEKOA was deployed on November 11, 2012. "Our team on KEKOA had been waiting for the right fish, a contender -- a nice sized marlin in outstanding condition -- to launch the tag into. After a pretty solid week's fishing, but mostly smaller fish, we knew from the outset this was the fish we had been waiting for," says Kelly Fallon. "Hooked on a circle hook in the corner of the jaw, it gave us a powerful display as it moved water to gain traction flying across the surface with us in hot pursuit. And it was still going very strong at release." Here, Alex Holme and Chase Hooper, two very wet crewmen try to get the fish into range to deploy the satellite tag. It was a good fight, going on for close to 45 minutes before the team could bring the black marlin alongside the boat for a safe tag and release. 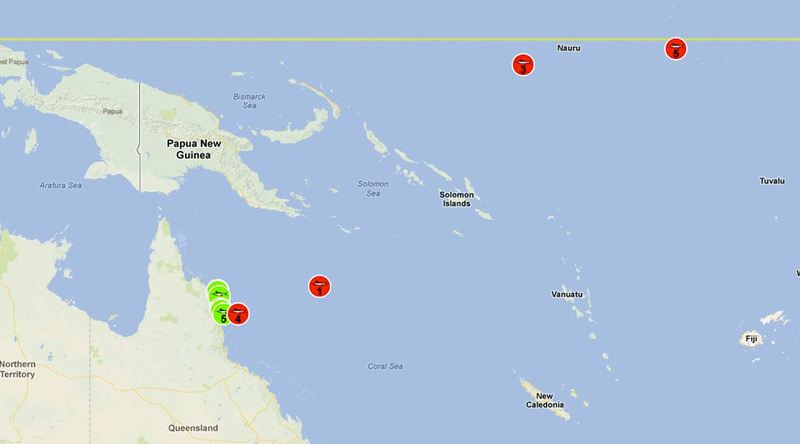 On December 7, 2012, Tag Four surfaced 91 nautical miles from where it was deployed. On December 15, 2012, Tag Two reported 6 nautical miles from the starting point. On, December 29, 2012, Tag Three reported 1,360 nautical miles away from where it was deployed (the second farthest distance). The next tag was Tag Five, KEKOA's tag, which popped off on January 19, 2013, an astonishing 1,875 nautical miles away from where it was deployed. The last tag was Tag One, which apeared on January 25, 2013, with a distance of 356 nautical miles. On the map, the green marks show the locations where the fish were tagged, and the red marks shows where the tags popped up. 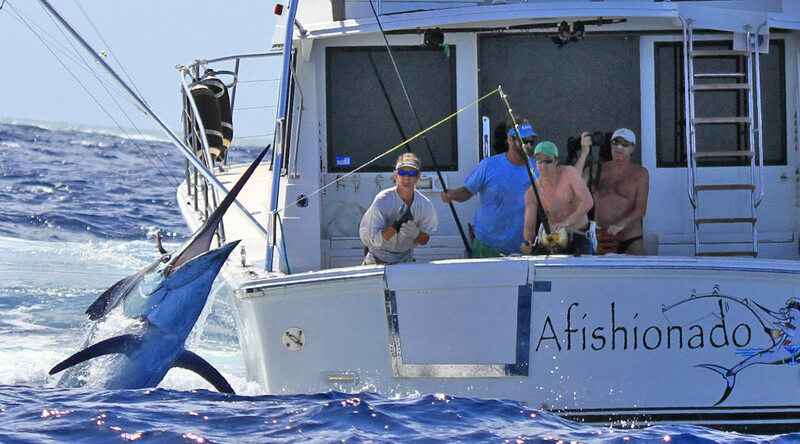 The IGFA Great Marlin Race is a partnership between IGFA and Stanford University. 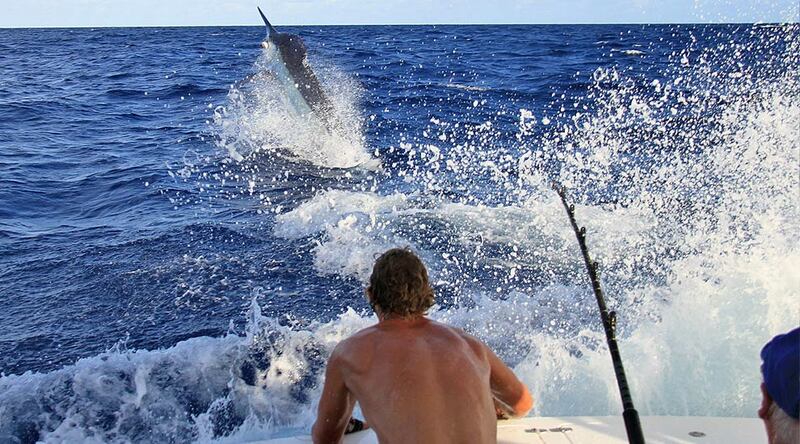 Visit the Great Marlin Race website for more info. 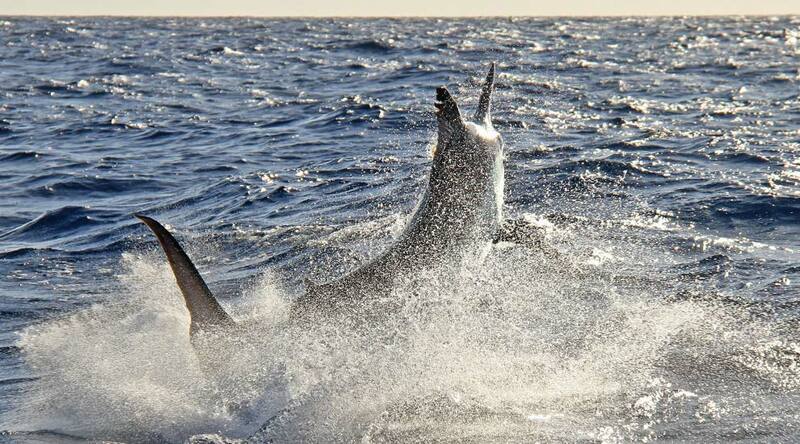 Pop-up tags reveal Aussie black marlin migrations.